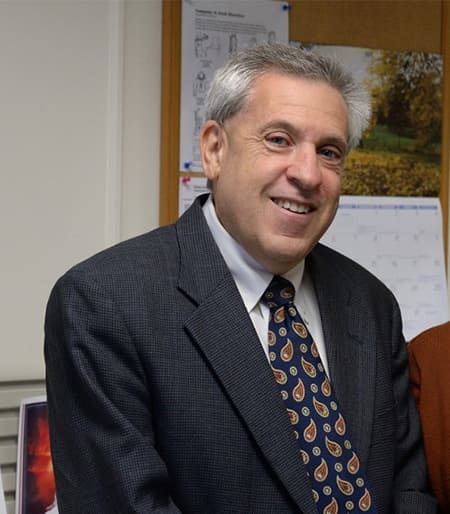 Alan Mathios is the Rebecca Q. and James C. Morgan Dean of Cornell University’s College of Human Ecology and a Commissioner for the Middle States Commisison on Higher Education. Prior to being dean he served as Senior Associate Dean for Academic Affairs and Undergraduate Education for the College of Human Ecology. He is a member of the Department of Policy Analysis and Management and has served as Associate Chair and Director of Undergraduate Studies for the Department. He is co-editor of the Journal of Consumer Policy and on the Editorial Boards of the Journal of Consumer Affairs and the Journal of Public Policy and Marketing. He came to Cornell following six years of employment at the Federal Trade Commission (FTC), where he served as a staff economist in the Division of Economic Policy Analysis and was recognized with the Outstanding Scholarship Award, the Excellence in Economics Award, and the Award for Superior Service to the FTC. A major focus of his research is on the effect of Food and Drug Administration regulatory policies on consumer and firm behavior. His research has focused on the impact of the regulation of health claims in food advertising and direct to consumer advertising of pharmaceutical products on health outcomes. His research has also focused on government tax policies and their impact on smoking onset and cessation. His most recent research is on an examination of the effectiveness of health warning labels on cigarette packages. His research has been funded by a variety of sources including the National Cancer Institute, the Robert Wood Johnson Foundation and the Merck Foundation Co. He has been the recipient of a number of teaching and advising awards including the SUNY Chancellor’s Award for Excellence in Teaching and the Cornell University Kendal S. Carpenter Advising Award. His service to the university includes co-chairing the decennial accreditation committee that prepared the Cornell University self-study followed by the Periodic Review Report for the Middle States Commission on Higher Education. The major focus of his research is on the effect of government regulation of information on consumer welfare. Research includes analysis of Food and Drug Administration policies governing advertising of health information and its impact on consumer health outcomes. Specifically, research has focused on the impact of private sector advertising of cigarettes, private and public sector advertising of smoking cessation products, private sector promotions of pharmaceutical products on consumer health choices. His most recent project is focused on the evaluation of the effectiveness of alternatives to FDA proposed warning labels on cigarette packages on smoking onset and quit behavior among disadvantaged populations. He is co-investigator on a NIH 5 year R01 project related to the evaluation of the FDA cigarette package warning labels.